Birthday Boy Candle Plate. 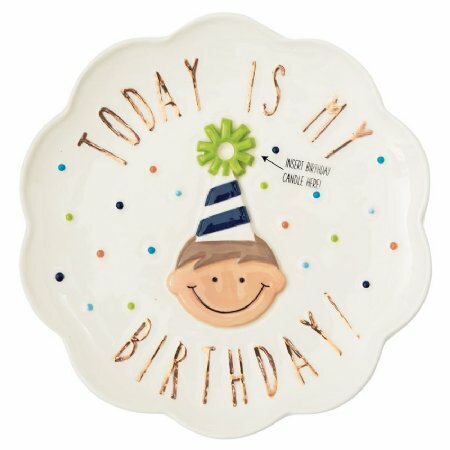 Ceramic birthday plate features scalloped rim, metallic "TODAY IS MY BIRTHDAY!" 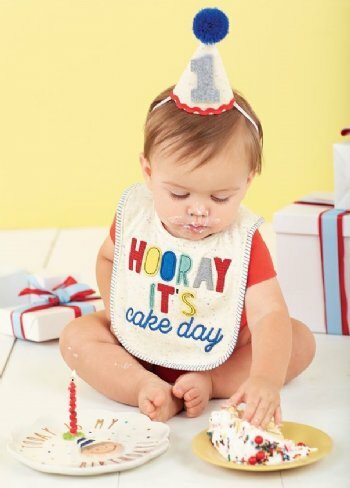 sentiment, hand-painted raised confetti dots and layered ceramic birthday boy with hand-painted detail and well to hold birthday candle in hat. Size: 8" dia.